Tired, stressed, sad, stiff, bored: Whatever your state of body or mind, a good workout can probably help—especially if it involves great music, fun moves and instruction by the best in the biz. Whether you’re making your way to the gym for the first time or looking to change up your established routine, these new and notable classes at Yorkville Village’s two fitness hubs, Equinox and SoulCycle, will ensure your workout’s a blast. All you have to do is get dressed and get there. Because sometimes simplicity is the key to results, Equinox Yorkville’s new “Master of One” HIIT class involves using just one weight to fire up as many muscles as possible per move for a full-body workout. You’ll complete a mix of cardio and strength training with fierce one-minute intervals, followed by short periods of recovery, and will leave the studio feeling strong, powerful and revitalized. Style Pick: Aurum Confidence Bra and Victory Legging, available at TNT. All about that playlist? “Hip-Hop Mondays” at SoulCycle Yorkville could be just the thing to get your blood pumping and bring your motivation level to an all-time high. Hip-hop battles (think Jay-Z versus Ludacris and Drake versus Kanye) also pop up on the class schedule, but if musical theatre is more your jam, watch for “Theatre Thursdays,” featuring the soundtracks of Hamilton, Rent, Dreamgirls and more. Style Pick: Alo Fortitude Raglan Bra, available at Equinox. Experience your “Best Stretch Ever” with Equinox’s new 30-minute class that prioritizes posture, stability and body awareness through stretching to enhance your performance in all other areas of fitness. You’ll use a mobility stick (a long rod that bends) to twist and push your body into deeper stretches while increasing your strength at the same time. Style Pick: ATM x SoulCycle Zip Hoodie, available at SoulCycle. As with other SoulCycle classes, SoulActivate is 45 minutes of spinning, sweating and lifting, but with even more intensity. You’ll vary your heart rate, complete timed interval pushes and finish an extra weight series with even heavier weights. If you want to increase time instead of intensity, try a SoulSurvivor class, which runs 60 minutes instead of the typical 45. Either way, you’ll feel exhausted but proud after every single sweat sesh. 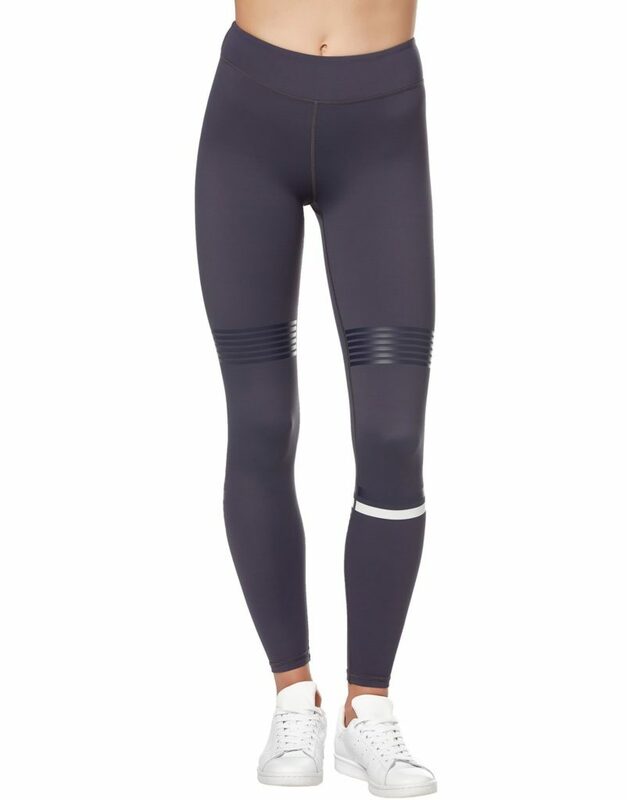 Style Pick: Lilybod Coco full-length legging, available at Equinox.